But how often do we just go through the motions without once marveling at the beauty around us? How often do we stop and consider the majesty of God in little things? One woman spent an entire school year photographing the majesty of God’s creation in a simple field. She put 180 days of photographs together in a video that clearly illustrates the beauty of God’s creation. Visit her post here, and be sure to go to the bottom of the post to view her video. It may change the way you look at the world. Yet you do now know what your life will be like tomorrow. You are just a vapor that appears for a little while and then vanishes away. Both passages reflect on the brevity of life. But they express very different views with regard to what we should do in light of the shortness of our lives. The first one calls us to make the best of the time we have. 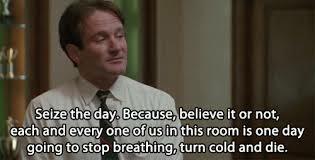 In “Dead Poets Society” the phrase was Carpe diem, “Seize the Day.” The message was to enjoy life while you can because it will soon be gone. We are supposed to enjoy the things here on earth, too. But, our enjoyment of them is designed to turn our attention to the one who gave them to us. The blessings in this life are meant to be returned to God in praise. Or in things that will be dying? 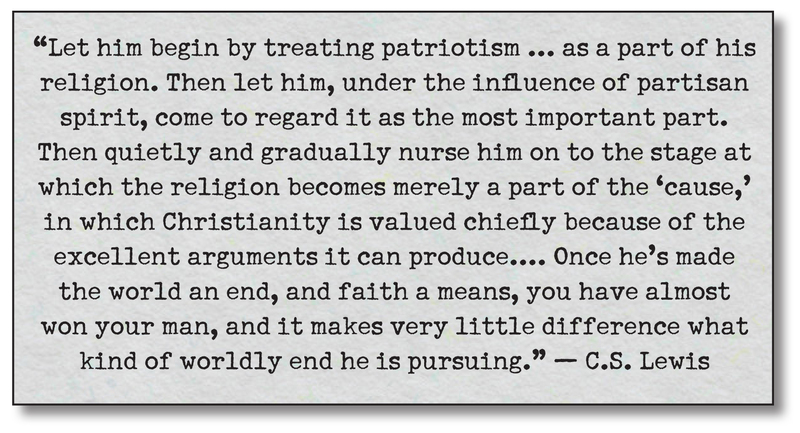 My last two posts have dealt essentially with the sin of nationalism. I find it ironic and providential that I just ran across the latest column of political commentator, Ann Coulter, where she masterfully — and unintentionally — illustrated my point. The $2 million spent on his care by the missions organizations that sent him overwhelmed any good he did while in Liberia. Coulter’s suggestion is for Christians to stop showing that kind of timidity, “buck up,” and “serve their own country” — this is the meat of the issue. Christians who follow the leadership of the Holy Spirit to the far reaches of this earth ARE serving their own country. I may have a U.S. Passport, but the United States is not my country. I belong to God’s Kingdom. Christ said, “My kingdom is not of this world. If My kingdom were of this world, them My servants would be fighting so that I would not be handed over to the Jews; but as it is, My kingdom is not of this realm.” You see, those of us who are believers in the Lord Jesus Christ, have our citizenship in heaven. I do agree with Ms Coulter on one point: America IS in desperate need of God. 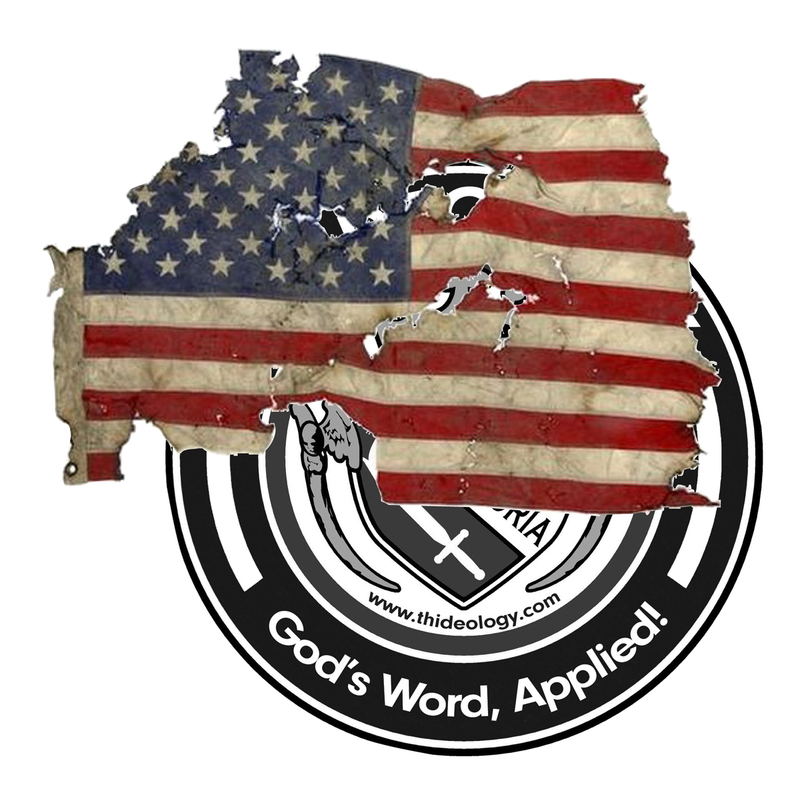 But never make the mistake of thinking God is in desperate need of America. His kingdom is quite secure. What an effective and time-honored tool of the enemy, indeed. I get a chuckle out of both of these because it seems to me both of these groups are defending points of view that miss the biblical mark — and both are doing it on behalf of God. Take the “God Bless America” crowd. What do they want? They want God to “bless” America. Okay, what does that look like? What does “bless” even mean? If you look into it you will discover this often means God grants to America a prominent position in the world, complete with military strength, economic prosperity, and political freedom. But I ask you: What does this reveal about the affections of the one asking for God’s blessing on America? Is their primary affection for God or for country? Then there is the “God Bless All Nations” bunch. They claim to have taken the more enlightened and morally superior high ground. I will grant that they appear to have a better handle on the idea that God is at work around the world and that America is not, in fact, God’s new chosen people. 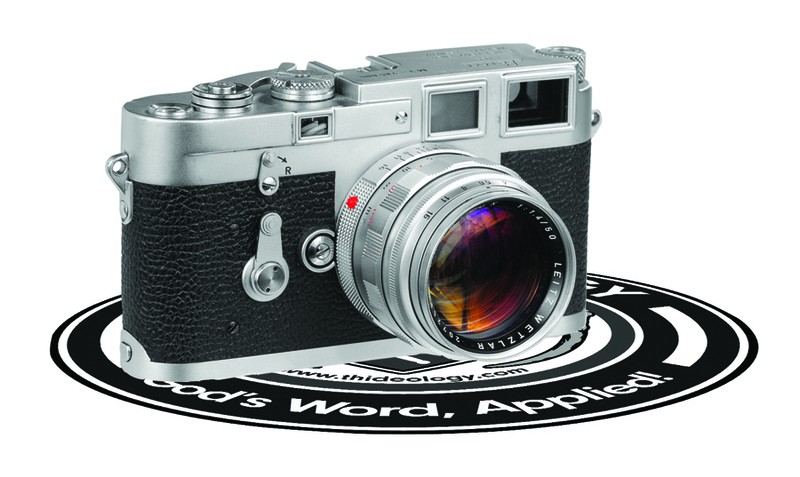 But, if you look closely at the sticker they display, you will see emblems and icons from a whole host of world religions. It is a symbolic affirmation of the old concept that all religions lead to God, they just take a different path. This betrays a fundamental and fatal misunderstanding of the God of the Universe. The apostle Paul insists (in Galatians 3:16) that this offspring is to be understood as a particular descendant — namely Jesus Christ — and through HIM all nations are to be blessed. Please notice, this blessing is not a promise of wealth, or military power, or political freedom — it is a promise that Jesus will save His people from their sins. It is a promise of heaven. And, yes, all nations are already blessed, because God has promised to save people from every nation and tribe and tongue. But the Bible is clear, He will only do this through the shed blood of Jesus Christ, period. Notice these people are singing to the Lamb who was slain — Jesus Christ — the same one through whom God promised to bless all nations in Genesis chapter 22. Dear Christians, the Bible is clear, HE is the one that has provided salvation (not a plurality of world religions) and HE is the one who gets the glory (not America). We need to insert ourselves right into the middle of the bumper sticker wars and declare to both sides that God HAS blessed all nations only through the shed blood of Jesus Christ and only for the glory of God.